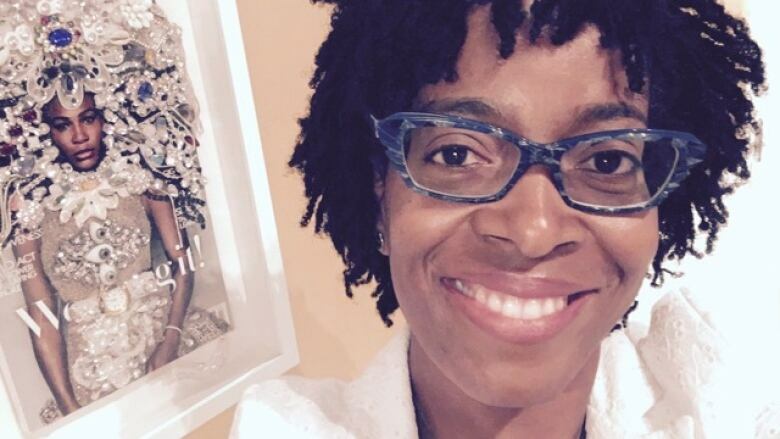 Yona Harvey is making Marvel Comics history as one of the first black women to ever write for the superhero franchise. But what does it say about Marvel that it took them 77 years to invite a black woman to the fold? "It means the Marvel is excited about bringing black women's voices to the comic finally," the poet-turn-comic book writer answers. "They're finally answering the call from readers across the country." Following the success of Ta-Nehisi Coates' Black Panther comic, Harvey and writer Roxane Gay were enlisted to help write a companion series called World of Wakanda. Having already read about Black Panther and the World of Wakanda, Harvey was immediately drawn to The People's mysterious leader, Zenzi. "She's so sparse in terms of the way she speaks, with very few words, but you always get the sense that she knows more than other people," she explains. "So when they invited me to write, I thought okay, this is easy! I was already so connected to her as a reader." The first issue of the comic comes out next Wednesday, Nov. 9.